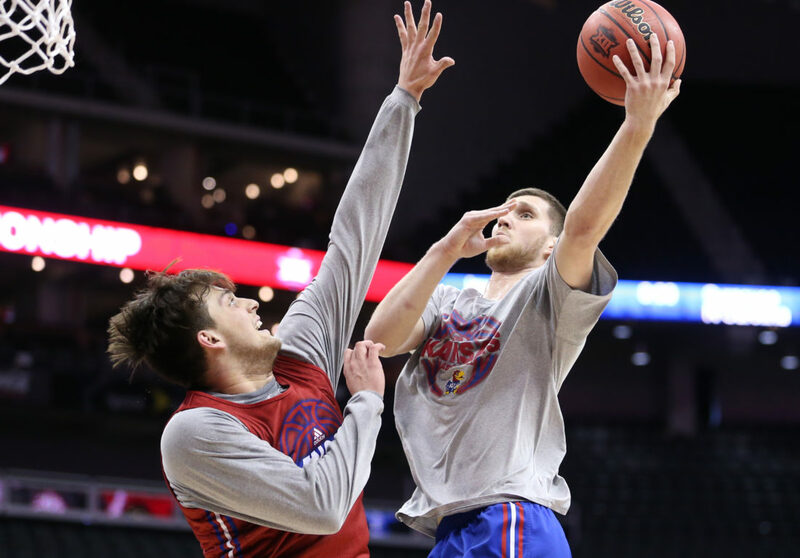 Kansas guard Sviatoslav Mykhailiuk (10) hangs for a shot over Kansas forward James Sosinski (55) during a shoot around on Wednesday, March 7, 2018 at Sprint Center in Kansas City, Mo. 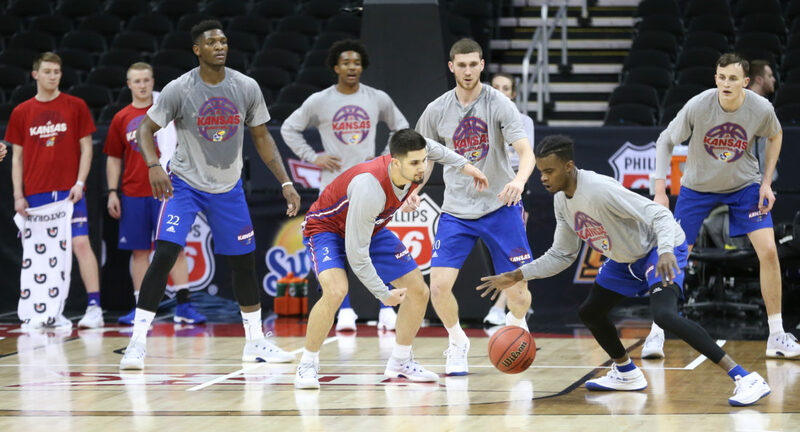 Kansas guard Lagerald Vick (2) steals the ball from Kansas guard Sam Cunliffe (3) during a shoot around on Wednesday, March 7, 2018 at Sprint Center in Kansas City, Mo. 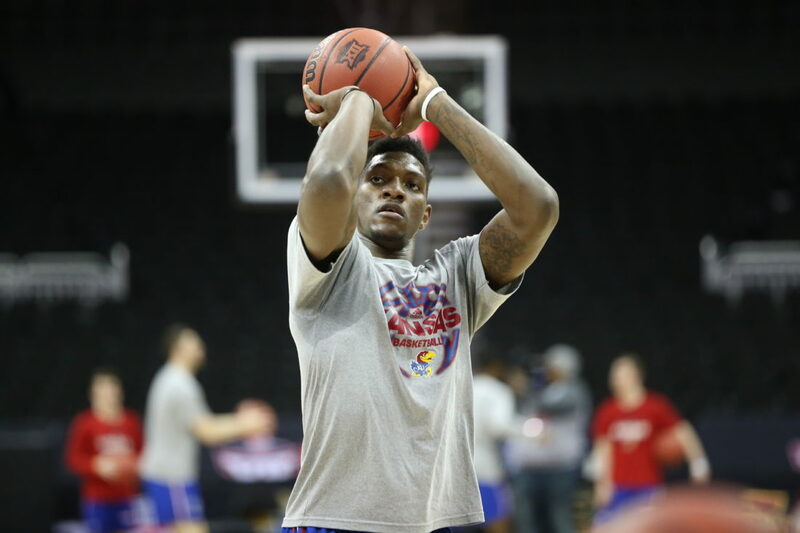 Kansas forward Silvio De Sousa (22) puts in a bucket past Kansas forward James Sosinski (55) during a practice on Wednesday, March 7, 2018 at Sprint Center in Kansas City, Mo. 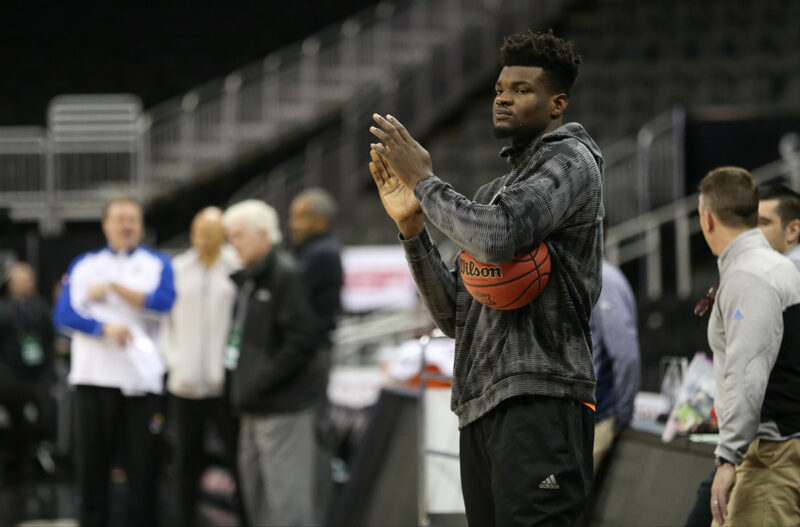 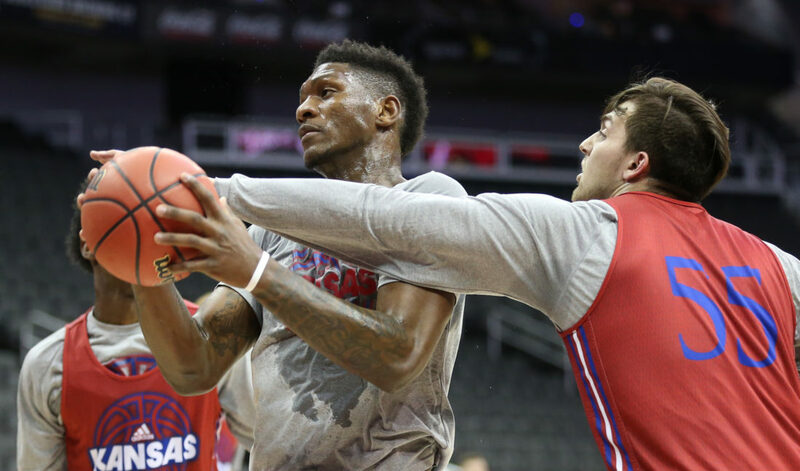 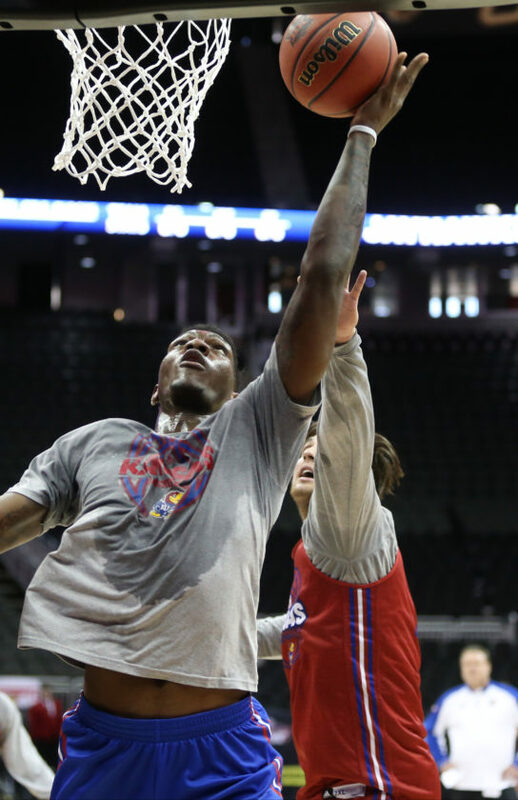 Kansas forward Silvio De Sousa (22) pulls an offensive rebound from Kansas forward James Sosinski (55) during a shoot around on Wednesday, March 7, 2018 at Sprint Center in Kansas City, Mo.